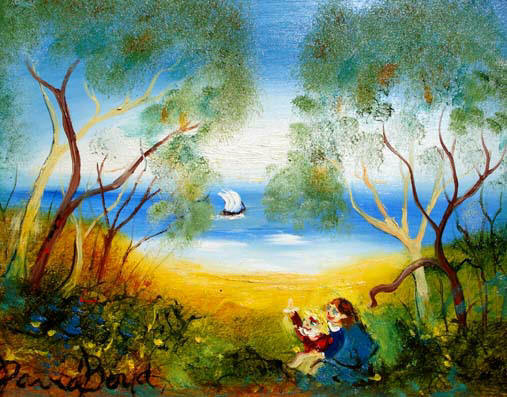 David BOYD is one of the most significant artist from post-WWII until today and Australian's most loved artist . 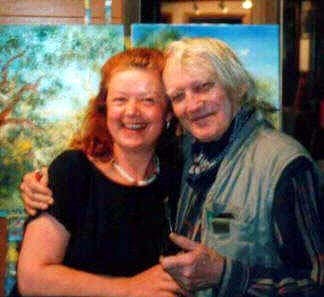 He created powerful series of paintings such as: The Wanderer, Legend of Europa and Cockatoos, Music and the Angels, Australian WIN TV (part 1) & Music and the Angels, Australian TV WIN Channel part 2), Tasmanian Aborigines, Children, The Exiles, The Trial. David BOYD work is represented worldwide including National Gallery of Australia , all Australian State and regional galleries, the Mertz collection USA, Powerhouse Museum . In 1969 Commonwealth Institute of Art in London held David BOYD major Retrospective. David BOYD quality paintings are in high demand King Found sold for $215,100, Church and State $118,450 and The Blessing $114,000 . 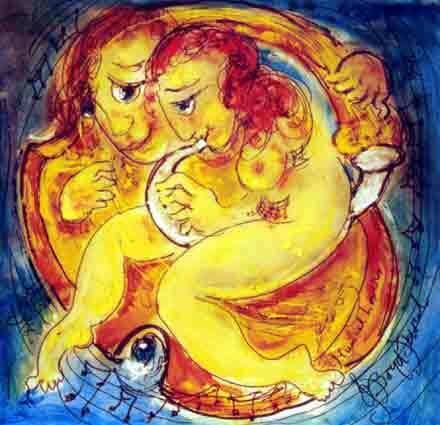 David BOYD ‘Music and the Angels’ launched in 1998 in Galeria Aniela is about celebration of life. 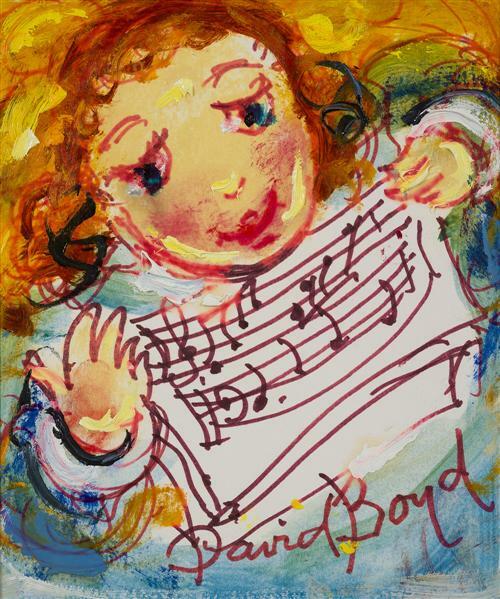 David BOYD is a remarkable artist, in ‘Music and the Angels’ he hark back about the importance of joy, passion, pleasure, sensuality, love and to seek delight every day. 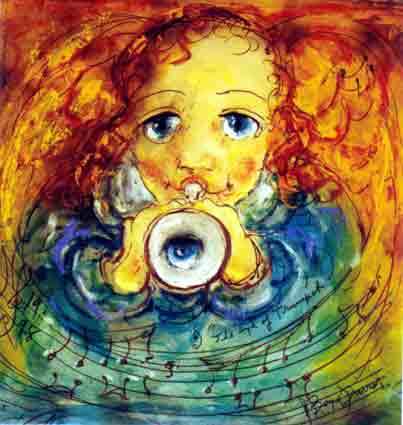 He created the new series of paintings ‘Music and the Angels’ to pay tribute to his daughter Amanda, who suffered from the breast cancer and regrettably passed away Saturday, 29 August 1998. VIDEO: The Australian National ABC TV - 7.30 Report|David BOYD retrospective celebrates artistic legacy. 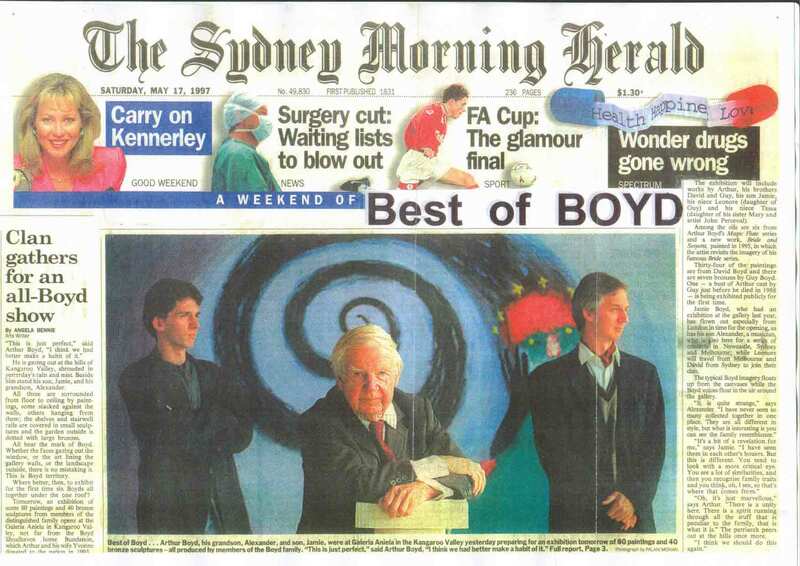 Part of an Australian artistic dynasty, David BOYD's legacy and that of his family celebrated in a retrospective exhibition in Sydney (2012). Hon. 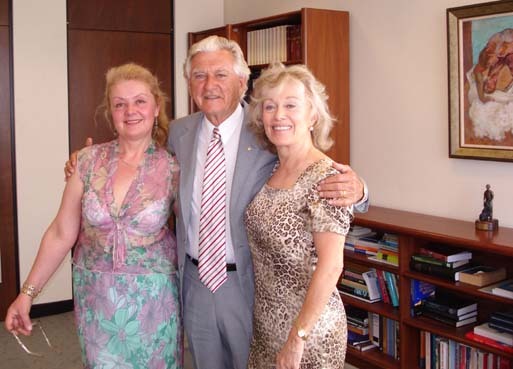 Bob Hawke the 23rd Prime Minister of Australia and the Leader of the Labor Party from 1983 to 1991. 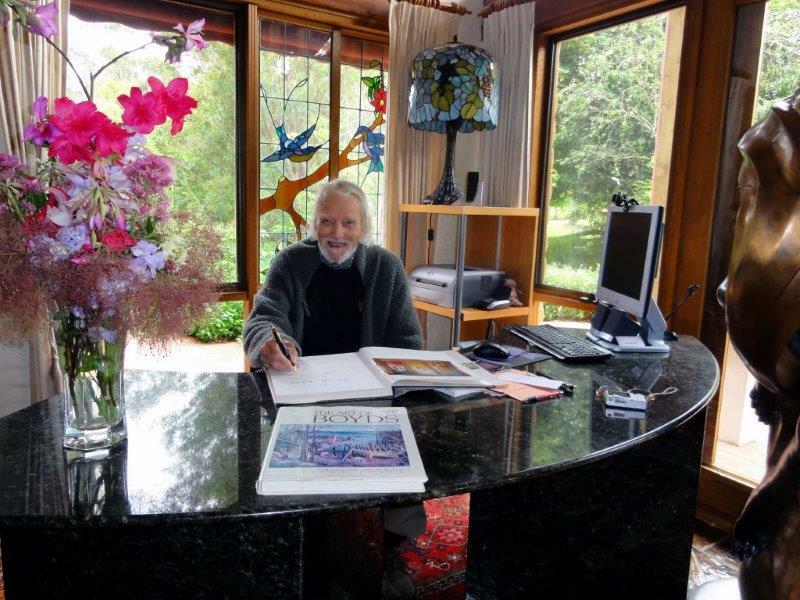 David BOYD (1924-2011) was a figurative painter, ceramic sculptor and potter, from a long family tradition of artistic talent. 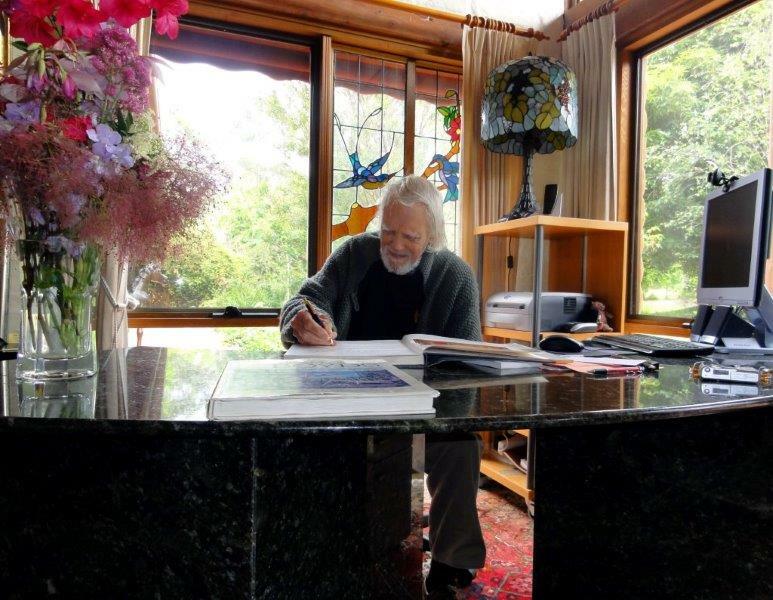 Acclaimed as a potter in the fifties and sixties, he began his career as a painter in 1957 with a series of symbolic paintings on Australian explorers. 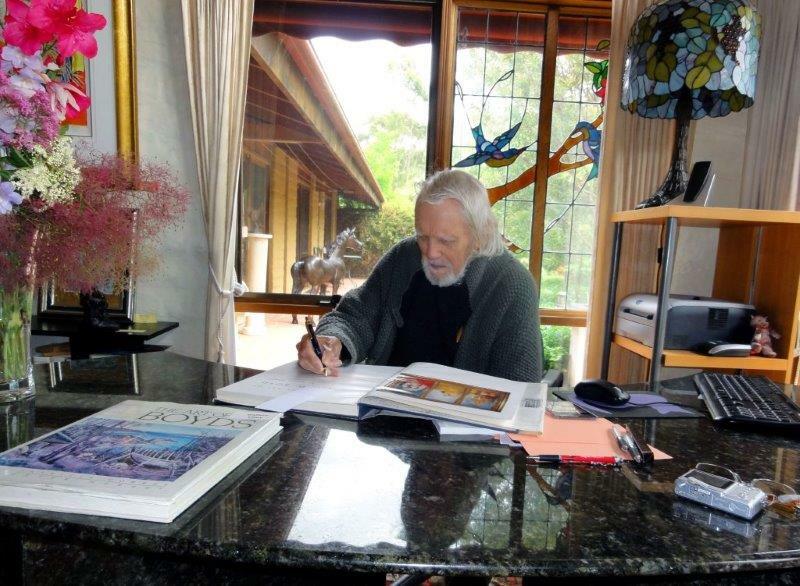 Since then, David BOYD painted several major series of works, including his powerful Trial series, the Tasmanian Aborigines, the Wanderer, The Legend of Europa and Exiles series. Picturing innocence and evil, destruction and creation, his works convey mythical and universal themes. Having won significant international recognition, David BOYD was invited by the Commonwealth Institute of Art, London, to hold a retrospective of paintings at their Art Gallery in 1969. 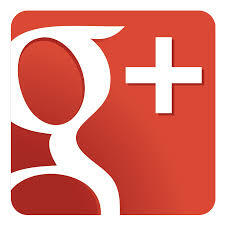 David BOYD is acclaimed worldwide. In 1969 David BOYD was invited by the Commonwealth Institute of Art in London to hold a major retrospective at their Art Gallery. In 1998 he received MEMBRO ALBO DORO DEL SENATO ACCADEMICO award he was officially recognised by the International Academy of Modern Art Rome in Italy. 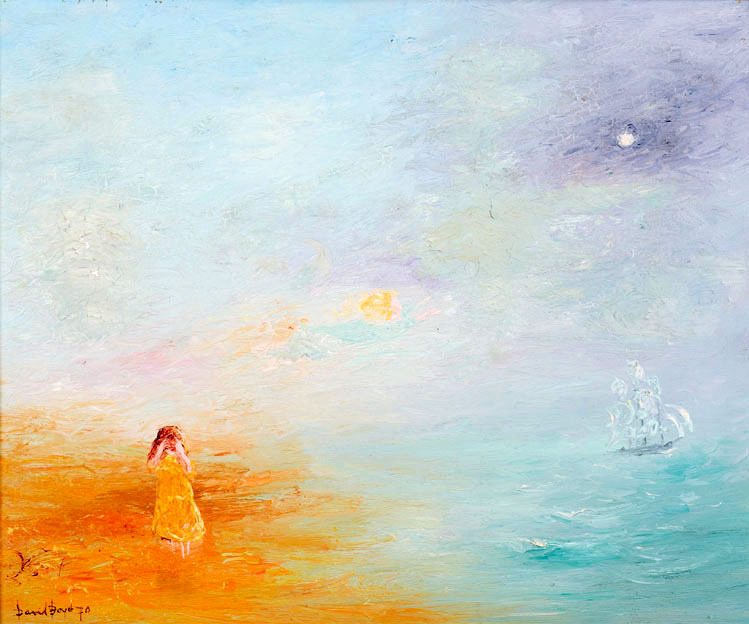 David BOYD held exhibitions throughout Australia and overseas from the 1950’s onwards. In 1969 he was invited by the Commonwealth Institute, London to hold a retrospective exhibition. The introduction to the catalogue written by Professor Bernard Smith the then Professor of Contemporary Art in the University of Sydney summed up the work and position of David BOYD in the Australian art scene when he wrote:- "This exhibition represents a personal victory over fashion. For ten years David BOYD has painted against the current mainstream and for ten years Australian critics subjected his art to severe criticism. But during the last twelve months or so the hostility has weakened; revised opinions are beginning to appear. 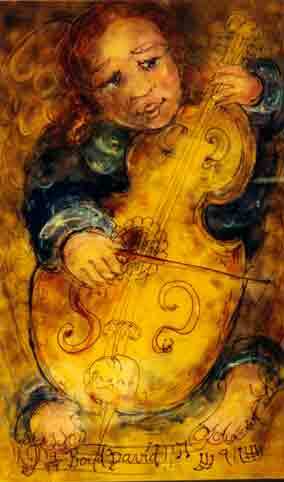 What was really at issue was not so much the quality of the paintings as the validity of his position.. Moral values, the human condition, might well have inspired so it was argued, great art in the past. But painting had now exhausted these positions. They were no longer available for the artist of the nineteen sixties. The criticism has not mattered much. 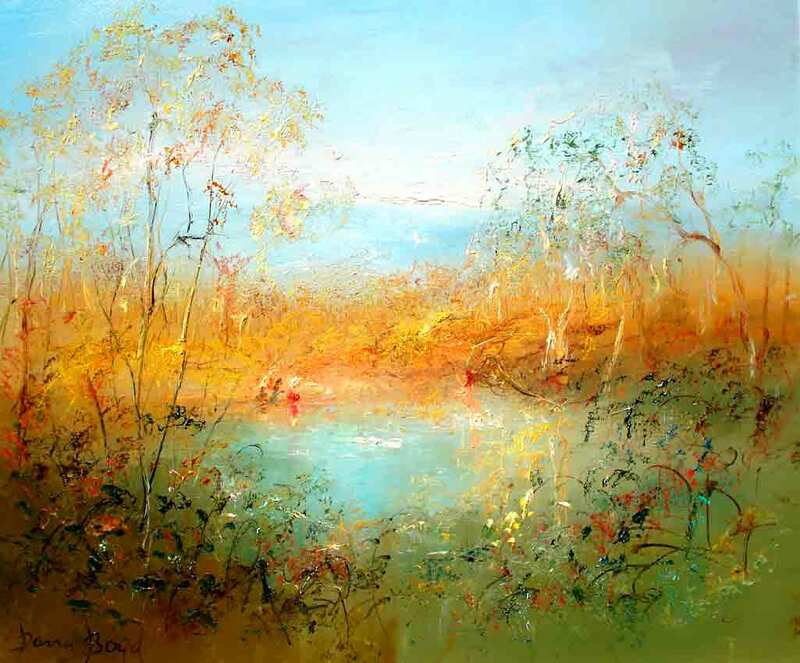 David BOYD has continued to paint in his own personal manner and to find an audience and a growing market for his art in Australia and Britain. He has found that there is still a place for a moral painter.” (The Art of David BOYD, Nancy Benko, Hyde Park Press 1973). In the 1970’s BOYD and his family travelled to France where they stayed for one year. 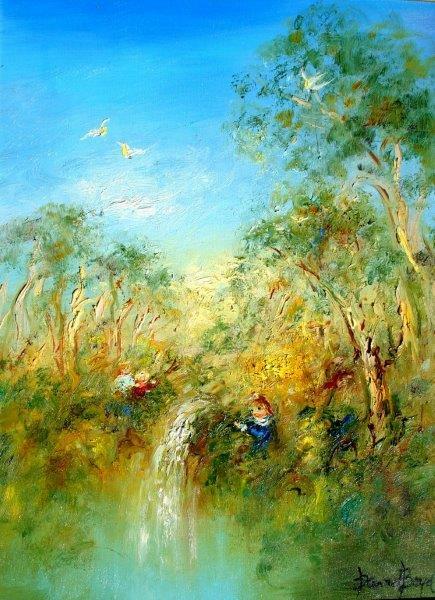 On their return David BOYD produced some of this most delightful work, combining angels, aborigines and children dancing through his beloved Australian bush. 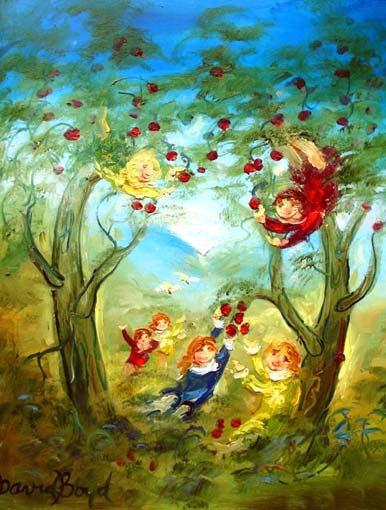 He exhibited a series of these mythological paintings “Orchard of Heaven”. During the next twenty years he travelled and exhibited overseas and in Australia. 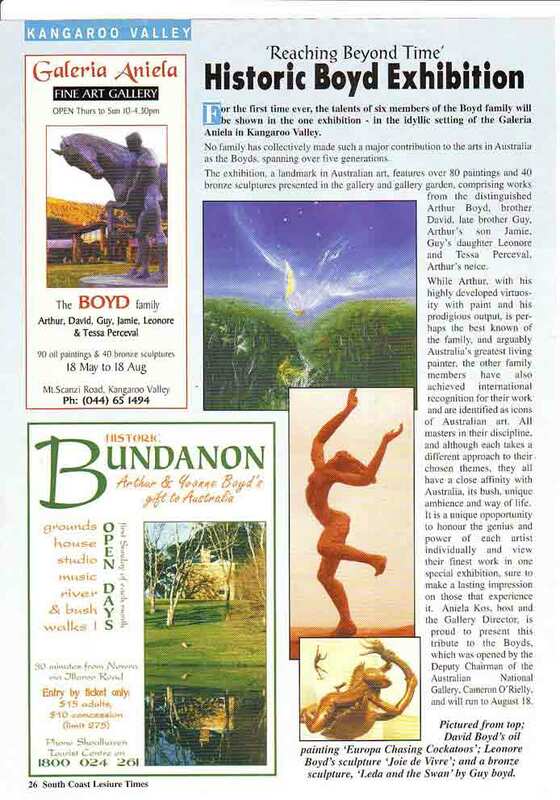 BOYD's closely clad children from BOYD's Children series and the beautiful Golden Wombat of his famous Europa series have been favorite with the public. 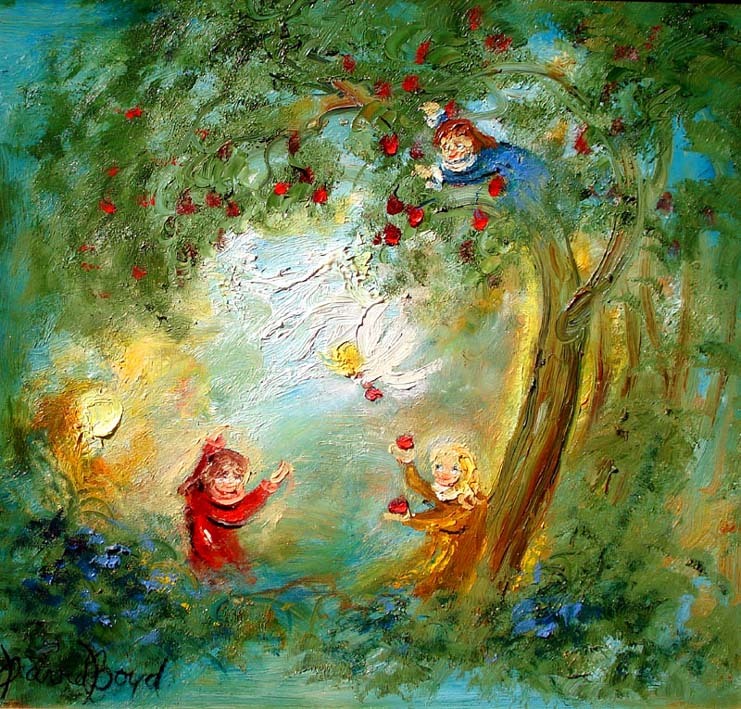 The richly decorated apple trees and the peek-a-boo faces of the children peering out from behind the bushes or frolicking at the water’s edge fill the viewer’s heart with a warm glow. 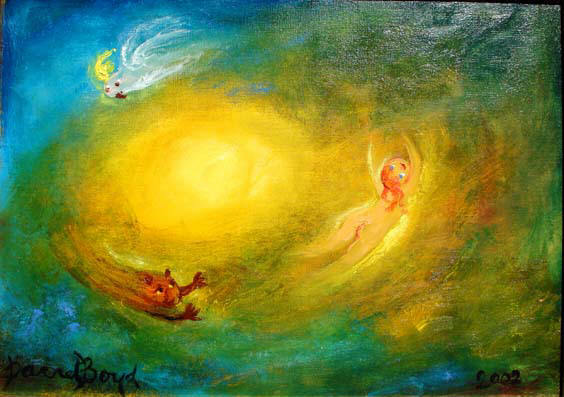 BOYD is a world class artist whose work always causes a definite emotional reaction from his public. Always true to his thoughts and feelings David BOYD (1924-2011) remains the most loved distinguished Australian artist. 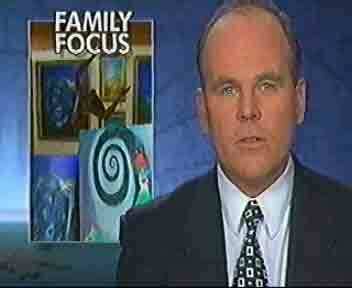 David BOYD was a incredibly gifted artist, a superb ceramic artist and painter. His early paintings were full of social comment and created controversy. Boyd's Explorer Series depicted Aborigines as gentle frightened people not wanting to be deprived of their native homeland. Other Boyd's themes included romanticised works based on historical themes such as The Law, The Church and The State. A critic once said that there are few painters of the quality of David BOYD who paint about the outrages and crimes of our time. I believe that man’s place in the universe is much more mysterious than his political environment. I often think of myself as being a spiritual anarchist. This is the social basis of my art, in very loose terms. 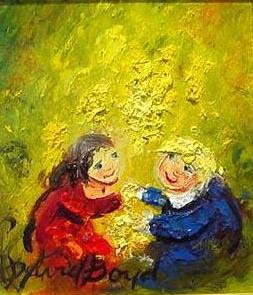 But painting, if it is to communicate in a forceful way, works on a number of different levels. The most important for me is its aesthetic merit. I want to combine the narrative qualities of my work with a definite aesthetic appeal.” (The Art of David BOYD, Nancy Benko, Hyde Park Press 1973). 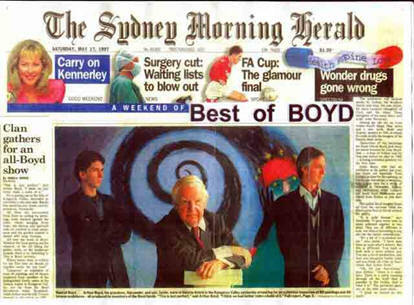 David BOYD played a significant part in the Antipodean group/movement in Australian Art history. The group was dedicated to the figurative image. The Antipodeans reacted not so much against abstract art, as against the pretentiousness of the many converts to abstract expressionism. BOYD’s work is full of moral commitment. 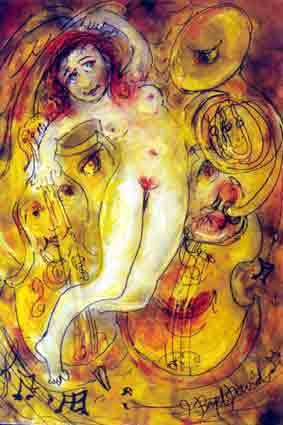 His paintings are the work of an impassioned humanist. While only in his twenties he had a solid reputation as a painter, potter and ceramic sculptor. Later he became Chairman of the Contemporary Arts Society of Australia. At this time we won an Italian Government Scholarship which allowed him to work and travel in Italy. 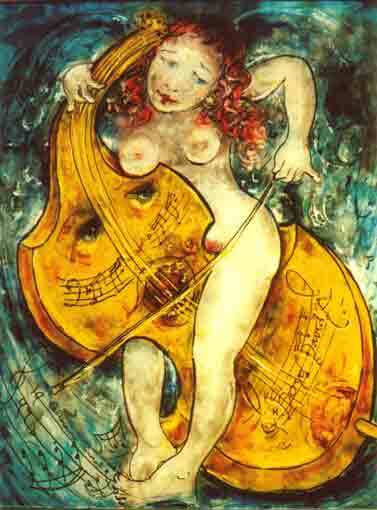 Throughout Boyd's career his work has always remained distinctive. 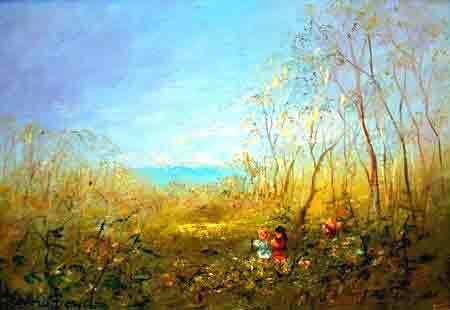 There is no denying (BOYD’s ) excellence as a painter, he is a born draughtsman. Drawing can be taught, but draughtsmanship never.” (The Art of David BOYD Nancy Benko, Hyde Park Press, 1973). 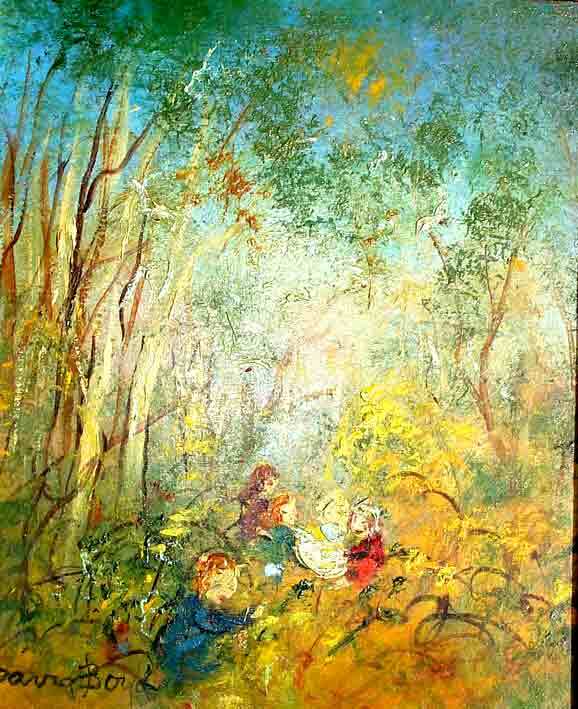 David Fielding Gough BOYD ( 23 August 1924-2011 in Murrumbeena, Victoria) is an Australian artist, and a member of the BOYD artistic dynasty. The BOYD artistic dynasty began with the marriage of Emma Minnie à Beckett (known as Minnie) and Arthur Merric BOYD in 1886. Both were already established as painters at the time of their marriage. Their second- son William Merric BOYD married Doris Gough and had five artistic children, Lucy de Guzman BOYD, Arthur Merric Bloomfield BOYD, Guy Martin à Beckett BOYD , David Fielding Gough BOYD, and Mary Elizabeth BOYD. 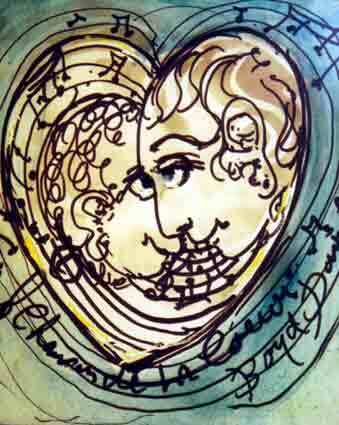 In 1948 David BOYD married Hermia Lloyd-Jones, the daughter of graphic artist Herman and Erica Lloyd-Jones. Following the tradition of their family, their three daughters Amanda, Lucinda, and Cassandra are artists. O ne of the contributors to the Antipodeans in the 50’s David BOYD and acclaimed worldwide, is a well-known ceramics and painter, began his career as a classical musician and study in Conservatorium. 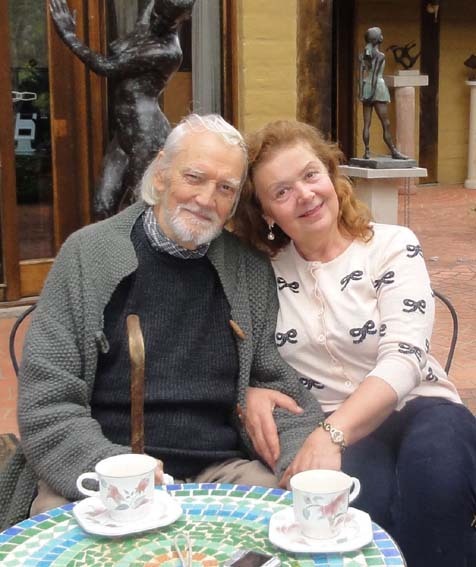 He became Chairman of the Contemporary Arts Society of Australia and won an Italian Government scholarship in 1961 that allowed him to work and travel in Italy. His early career in the 1950s and 60s was the subject of much controversy in Australia as his works focused on the unpopular topics of the legal system The Trial series of paintings , religion and Aboriginal people the Tasmanian Aboriginals series of paintings . 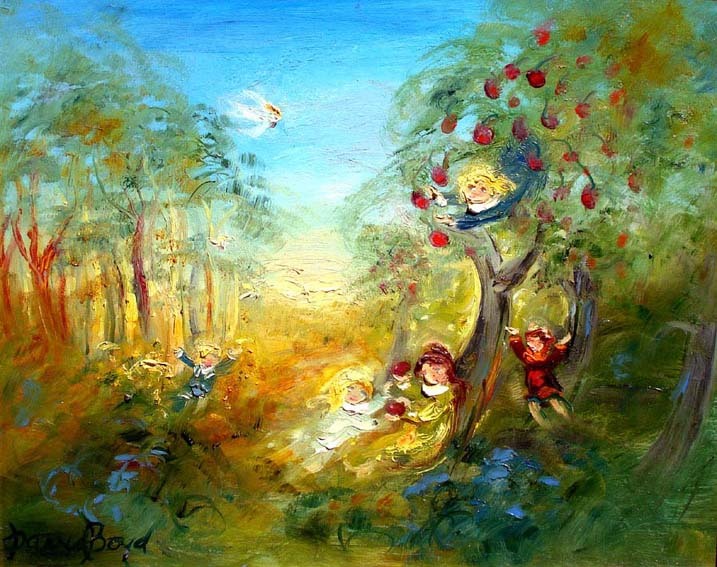 In the 1970s BOYD returned living in France before re-settling in Australia. 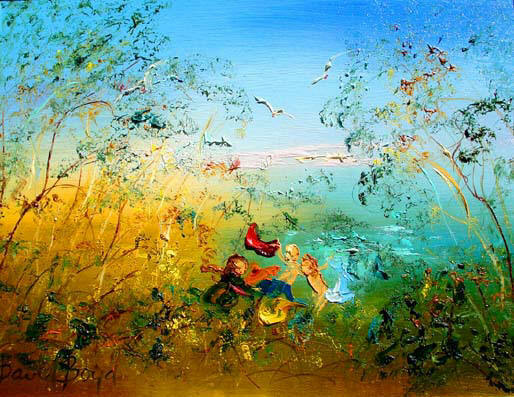 David BOYD has won significant international recognition, i n 1969 David BOYD was invited by the Commonwealth Institute of Art in London to hold a major retrospective at their Art Gallery. In 1998 he received award MEMBRO ALBO DORO DEL SENATO ACCADEMICO officially recognised by the International Academy of Modern Art Rome in Italy. 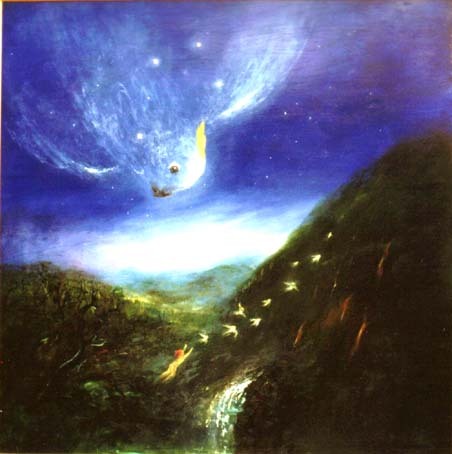 David BOYD's iconic 1995-2005 'Legend of Europa and the Cockatoos' series of paintings was the artist's shortest series (from 1995 to 2005) and the most the favorite series with the public. 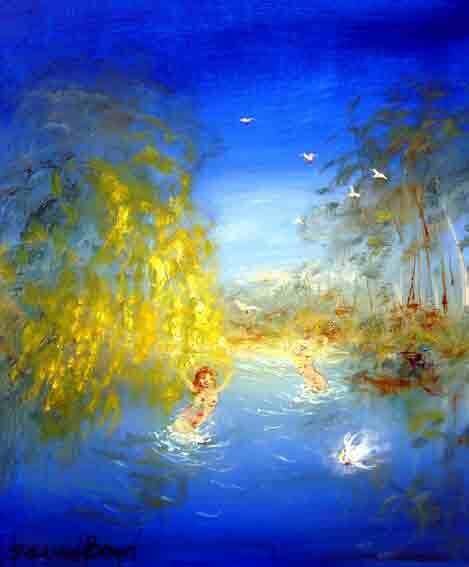 The Legend of Europa and the Cockatoos' dedicated to my brother, Arthur BOYD 1920-1999 in appreciation of his generosity to the Australian people and his affection for cockatoos. "Unlike the various Trial series of paintings which used the visual language to express ideas about a fundamental and disturbing feature of the human condition, 1995-2005 The Legend of Europa and the Cockatoos is presented as an entertaining parable. The following background notes may be of interest to people curious about how the series evolved. 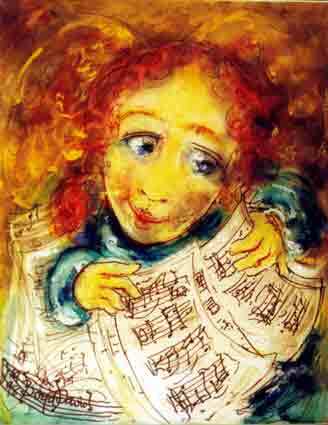 Late in 1994, I was working on some pastels called Music and the Angels. 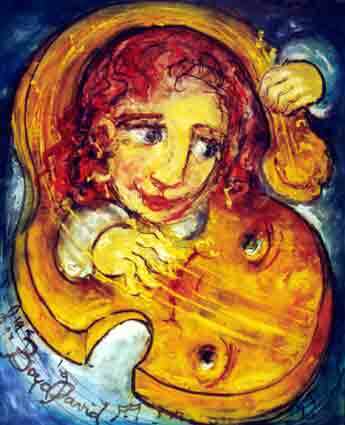 Because of the wings and the expression on the faces of the angel musicians, the pastels evoked the spirit of the Baroque rather than the exhilarating frenzy of 20th century rock music. Suddenly in December, following the opening of the new second north south runway and the closure of the main east west at Sydney Airport, the roar of jet aircraft ascending north in increasing frequency above my studio or the whining scream as they approached to land, completely drown the music of the angels. Putting aside their instruments they gazed sadly upwards or out of the picture. Suddenly in December, following the opening of the new second north south runway and the closure of the main east west at Sydney Airport, the roar of jet aircraft ascending north in increasing frequency above my studio or the whining scream as they approached to land, completely drown the music of the angels. Putting aside their instruments they gazed sadly upwards or out of the picture. I have kept the angel that first appeared thus. 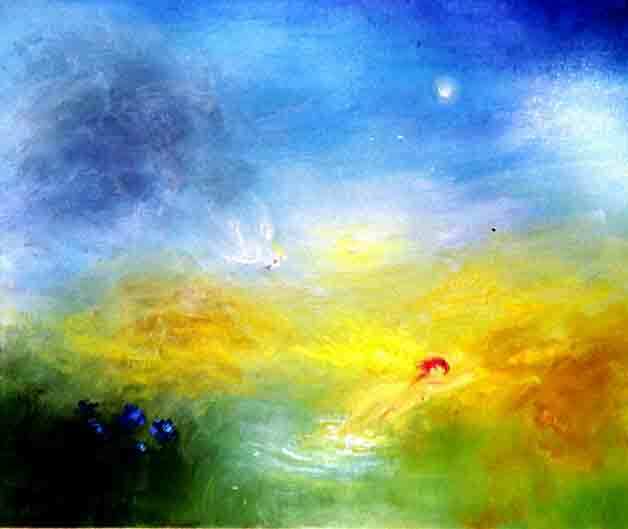 It is called "Angel Listening to the Roar of Jets Over Sydney Australia". What the above has got to do with a winged figure chasing cockatoos? An idea can have its genesis in unexpected ways. Since boyhood I had not given a great deal of thought to airplanes, but now with huge jet machines constantly roaring overhead it become impossible to ignore this wonder of modern technology. Remote from Jumbo jets but enough to set the imagination on fire, using the drawings as reference I painted a winged figure running to gain speed, as a pelican does before rising. 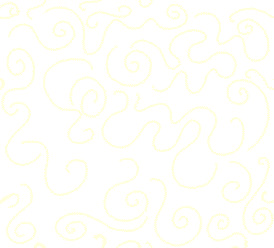 To draw or paint pictures of the things would keep their menacing shape in the forefront of the mind. It happened that waiting amongst a stack of pencil drawings from the 1960's was a sketch of a winged figure running through the bush land. The title, “Europa Fleeing from a Bushfire” instantly kindled an idea. Why not! I thought. There is a link there. There followed other pictures of a related configuration - such as “Europa falling above an inland sea or leaning against the rough back of a wombat while star gazing”. At night she dreams that she is frolicking with the cockatoos." It happened that waiting amongst a stack of pencil drawings from the 1960's was a sketch of a winged figure running through the bush land. The title, “Europa Fleeing from a Bushfire” instantly kindled an idea. Then later, the beautiful Europa (in her dreams) was sometimes hounded and fascinated by the Australian irresistible Sacred Golden-Plumed wombat, and sometimes the Golden-Plumed wombat was sitting on her belly. 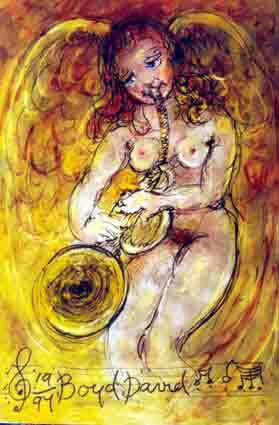 Thus the title “Europa and the Sacred Golden-Plumed wombat sitting on her belly” awaken my inspiration. Europa days were fully occupied chasing the Golden crested white cockatoos and on other occasions Europa was chased by the rarely seen Black Cockatoo. Europa pursued Cockatoos believing that cockatoo’s crests are made of the purest gold. Europa was convinced that if she capture Golden Crests of White Cockatoos she enlarge her wings and achieve the exhilarating freedom of flight. From a hiding place in a wattle tree Europa preys on the unsuspecting birds and, Europa is successful grasping their crests when they fly close. There followed other pictures of a related configuration - such as “Europa falling above an inland sea or leaning against the rough back of a wombat while star gazing”. At night Europa dreams that she is frolicking with the cockatoos. Europa was convinced that if she captures the birds and enlarges her wings with their golden crests she will achieve the exhilarating freedom of flight. From a hiding place in a wattle tree Europa preys on the unsuspecting birds, Europa is successful grasping their crests when they fly close. Over a period of the hundred and seven years Europa gradually enlarges her wings." Children series, the Legend of Europa and the Cockatoos, Trial, Judges, Tasmanian Aboriginals and Music and the Angels series. David BOYD primary canvases the artist kept as a reference to continue the series and for his Retrospective exhibitions, but rarely sold. Galeria Aniela offers an opportunity to purchase authentic museum-quality works of art of impeccable provenance , shipping worldwide. 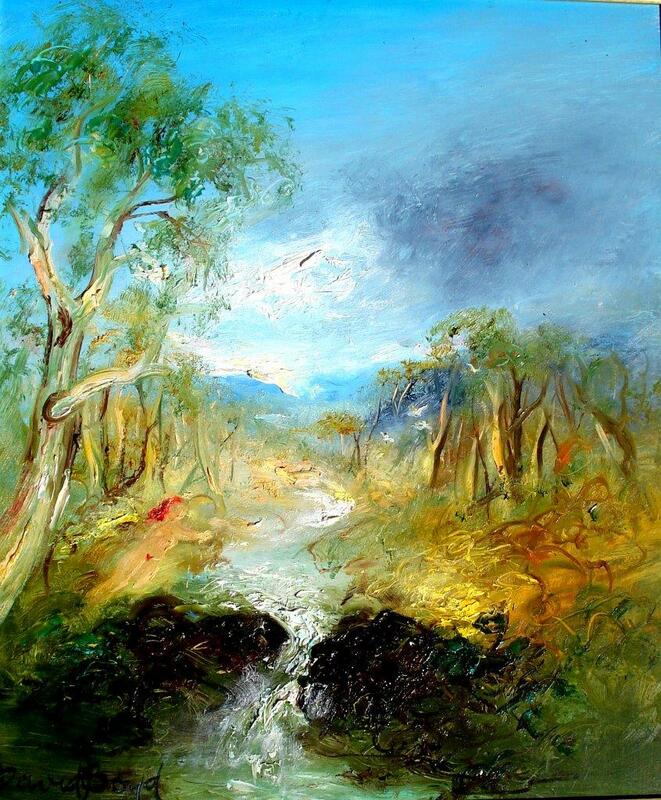 David BOYD (1924-2011) is one of the most significant Australian artist from post-WWII until today . 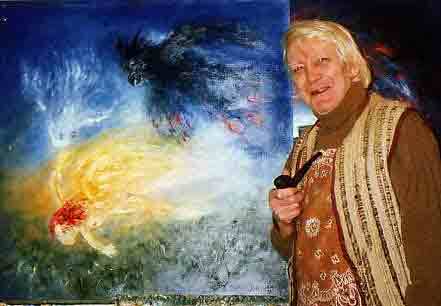 Boyd created powerful series of paintings such as: The Exiles, The Trial, Tasmanian Aborigines, Children, The Wanderer, Legend of Europa and the Cockatoos, and Music and the Angels Music and the Angels Australian WIN TV (video part 1) and Music and the Angels Australian TV WIN Channel (video part 2). 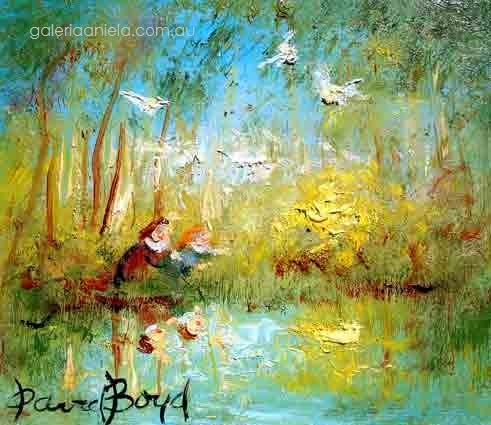 David BOYD work is represented in National Gallery of Australia , State and regional galleries, the Mertz collection USA, Powerhouse Museum many major collections in Australia and around the world . Commonwealth Institute of Art in London in 1969 held David BOYD major Retrospective. David BOYD is Australian's most loved artist, his original quality paintings are in high demand King Found sold for $215,100, Church & State $118,450 and The Blessing $114,000 . David BOYD (1924-2011) one of the most significant Australian artist from post-WWII until today , created powerful series of paintings such as: The Exiles, The Trial, Tasmanian Aborigines, Children, The Wanderer, Legend of Europa and the Cockatoos, and Music and the Angels (Music and the Angels Australian WIN TV (video part 1) and Music and the Angels Australian TV WIN Channel (video part 2). David BOYD was a world class artist, always true to his thoughts and feelings, he remains the most loved Australian artist whose work always causes a definitely positive emotional reaction from his public. 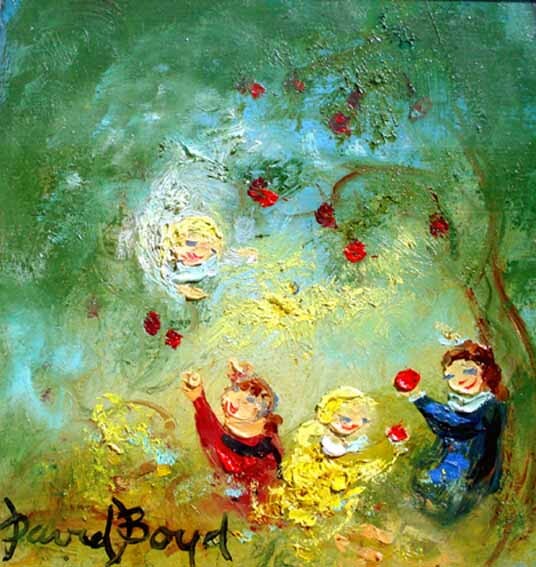 1970 David BOYD lived in south of France, on his return BOYD produced some of this most delightful work. 1971 The Wanderer series (first exhibition) Festival of Arts, Adelaide, South Australia . The Adelaide Festival began in the late 1950s with efforts by Sir Lloyd Dumas to establish a major arts festival that would bring to world-class cultural exhibitions. The Adelaide Festival held in March is made up of several events, features include opera, theatre, dance, classical and contemporary music, cabaret, new media, literature and visual art. 1972-75 South Yarra Galleries Gallery Melbourne, Victoria, Australia with Joseph Brown a leading art dealer promoting a wide range of Australian artists, both historical and contemporary. In May 2004, Joseph Brown donated the major part of his collection of Australian art to the National Gallery of Victoria the most generous single gift of works of art ever made to a public gallery in Australia. Displayed at the Ian Potter Centre for Australian art, The Joseph Brown Collection provides a cross section of Australian art. Included are paintings from all major periods from colonial to Heidelberg to Aboriginal and twentieth-century art. Galeria Aniela offers an opportunity to purchase authentic museum-quality works of art of impeccable provenance , shipping worldwide. Please visit gallery showrooms or phone +612 4465 1494. 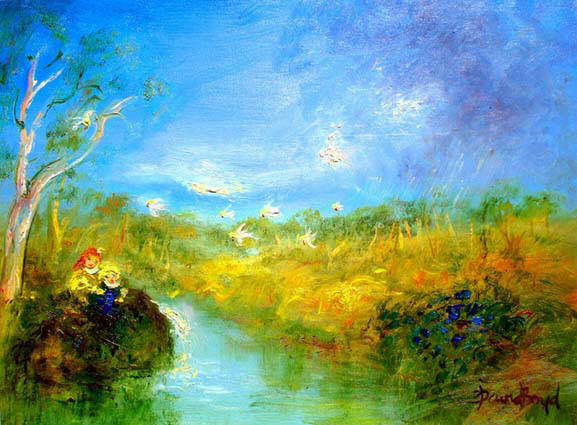 David BOYD (1924-2011) one of the most significant Australian artist from post-WWII until today. 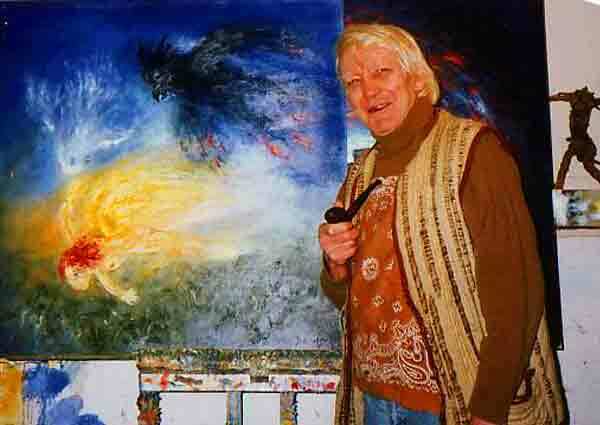 he created several powerful series of paintings The Exiles, The Trial, Tasmanian Aborigines, Children, The Wanderer, Legend of Europa and the Cockatoos, and Music and the Angels (Music and the Angels Australian WIN TV (video part 1) and Music and the Angels Australian TV WIN Channel (video part 2). David BOYD (1924-2011) one of the most significant Australian artist from post-WWII until today , created some of the most powerful series of paintings such as: The Exiles, The Trial, Tasmanian Aborigines, Children, The Wanderer, Legend of Europa and the Cockatoos, and Music and the Angels (Music and the Angels, Australian WIN TV (video part 1) and Music and the Angels, Australian TV WIN Channel (video part 2).
" It happened that waiting amongst a stack of pencil drawings from the 1960's was a sketch of a winged figure running through the bush land. The title ‘Europa Fleeing from a Bushfire’ instantly kindled an idea. Why not! I thought. There is a link there. Then later I thought about the irresistibly Australian wombat'. The Sacred Golden-Plumed wombat was hounding beautiful Europa, appear in her dreams and sometimes was sitting on her belly. 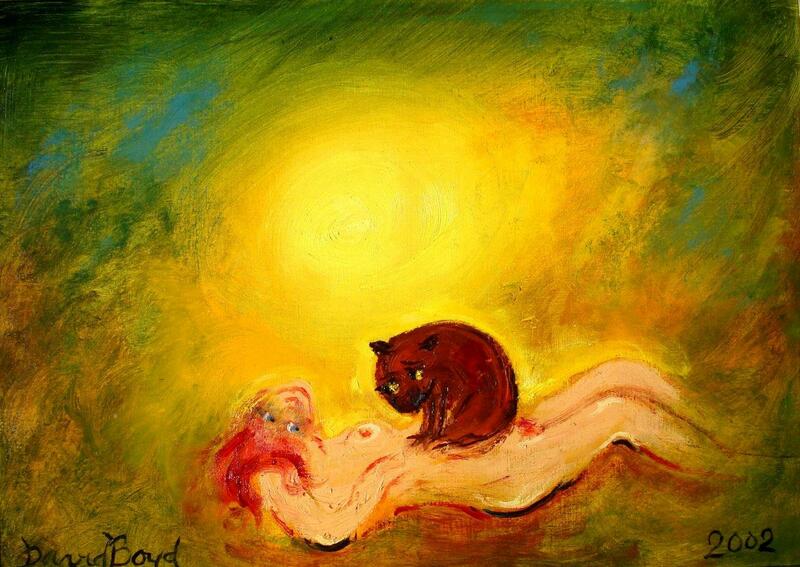 Thus a title ‘ Europa and the Sacred Golden-Plumed wombat sitting on her belly ’ under SUN awaken my inspiration." Masterpiece: 'Europa Sunflowers and White Cockatoo' is museum-quality important masterwork and the first work that initiated the iconic 1995-2005 Legend of Europa and Cockatoos s eries of paintings. 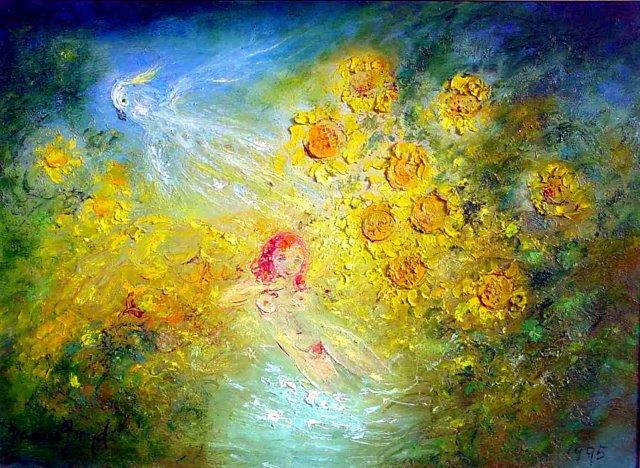 Completed 1995 with great attention to details 'Europa Sunflowers and White Cockatoo' is highly textured with clear tone of colors and rich expressive paintwork that gives the viewer rare almost multi-dimensional sensation. The iconic Legend of Europa and the Cockatoos was the most favorite series of paintings with the public, and also the artist shortest (from 1995 to 2005) series of paintings. The Legend of Europa and Cockatoos series was presented as an entertaining parable based on the theme of the human values and Australian way if living. Unlike the various Trial series of paintings which used the visual language to express ideas about a fundamental and disturbing feature of the human condition.